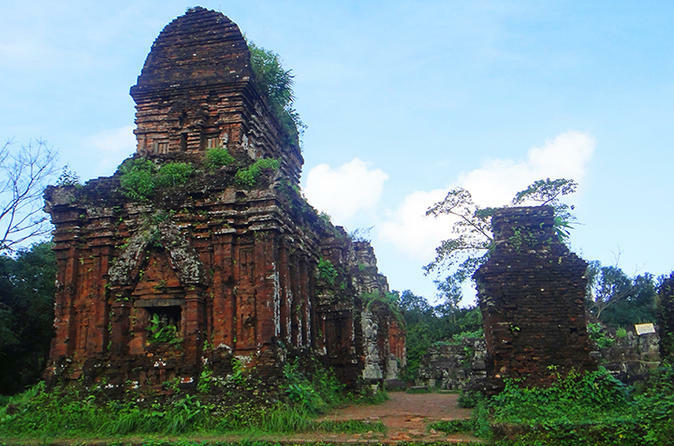 The Central Vietnam area is rich in natural history and culture. 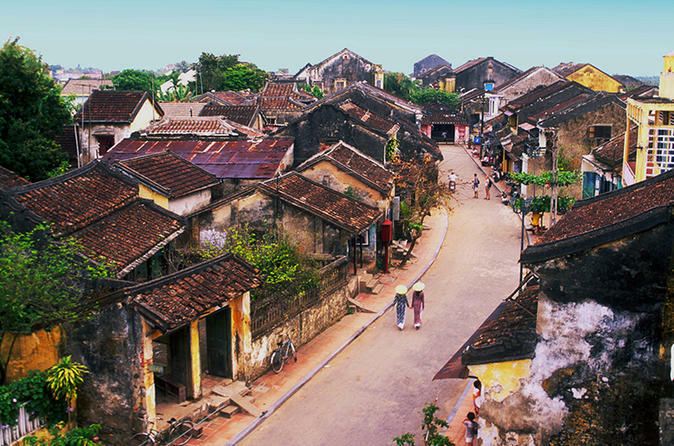 This 4 Days tour includes 3 UNESCO- designated World Heritage Sites: the 16th century silk route trading port of Hoi An, My Son valley the sacred remains of the ancient Cham civilization, and the ancient Imperial city of Hue. 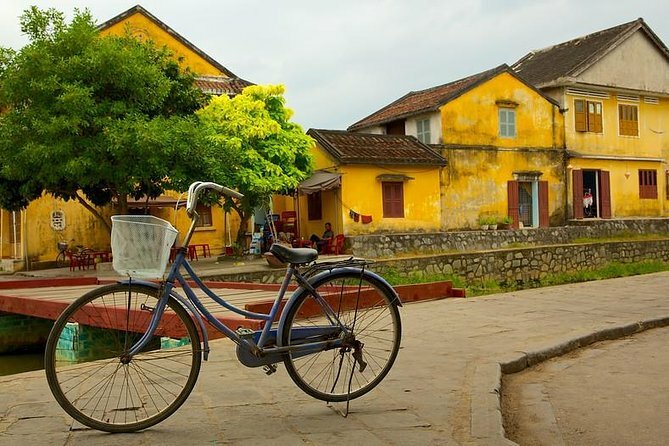 There is plenty to see in Central Vietnam and this tour gets you to all the places you need to see before heading off to relax and enjoy the rest of your stay in Vietnam. Please note this tours does not include accommodation, which gives you the flexibility to book which hotels you prefer but having the back up of a guide to ensure you get the most from each destination. 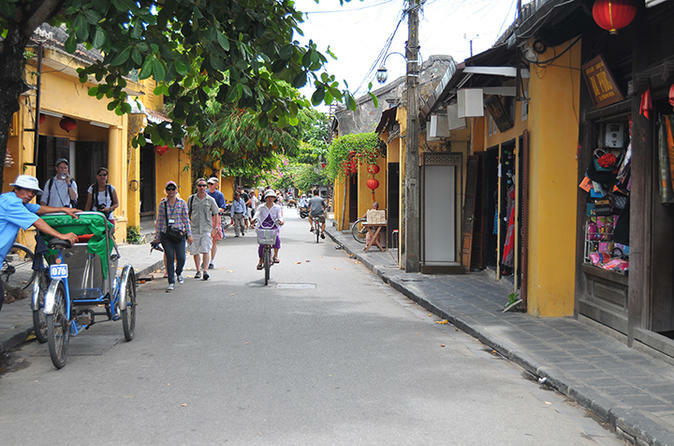 Explore the quaint Hoi An Ancient Town on this comprehensive walking tour. Nearly unchanged for the past couple of centuries, this town has become a popular destination for those who enjoy the small town atmosphere. 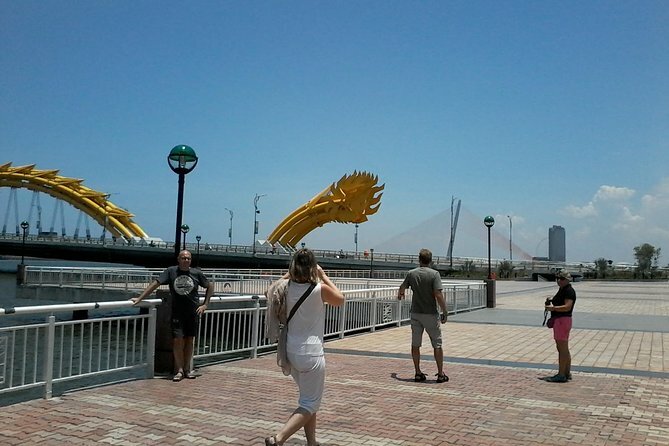 We are here to offer you the Da Nang Walking Food Tour which can help you discover Da Nang in an interesting and healthy way – walking and enjoy the best local food, street food around the city with our enthusiastic, funny and friendly guides. This is for those to want to take the time to experience the city. 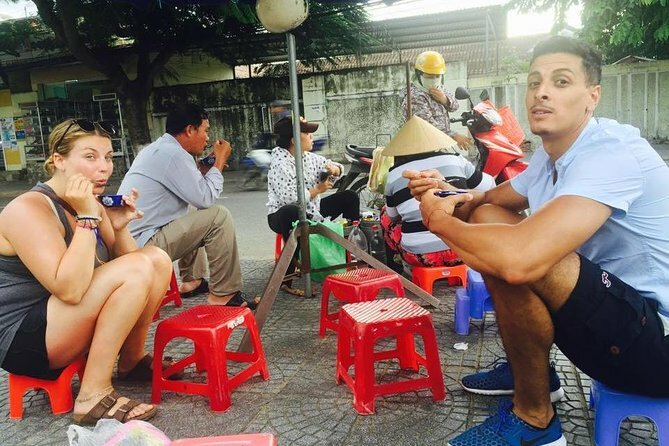 The Da Nang Morning Food Tour is a walking and eating adventure on the streets of Da Nang. The tour starts of with a hearty breakfast, then takes you through the city streets to visit a local market. 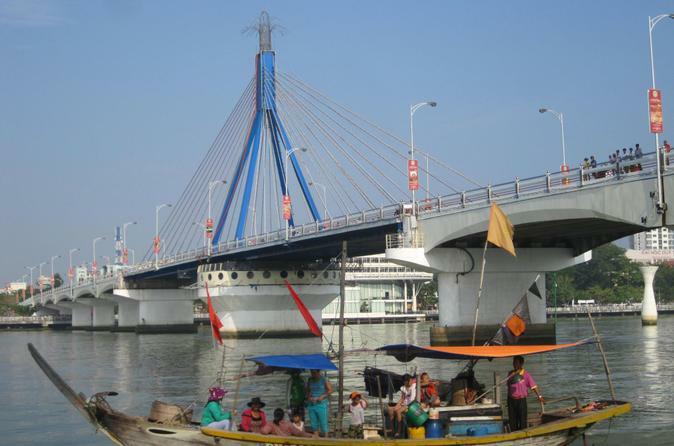 We'll stop for a rest and enjoy a few local specialty dishes (could change each tour) before continuing our stroll to a local coffee shop, the hub of Da Nang social life. We'll end the tour around 11:30am with a final stop for lunch. Get ready for your taste buds to be taken on a tour! 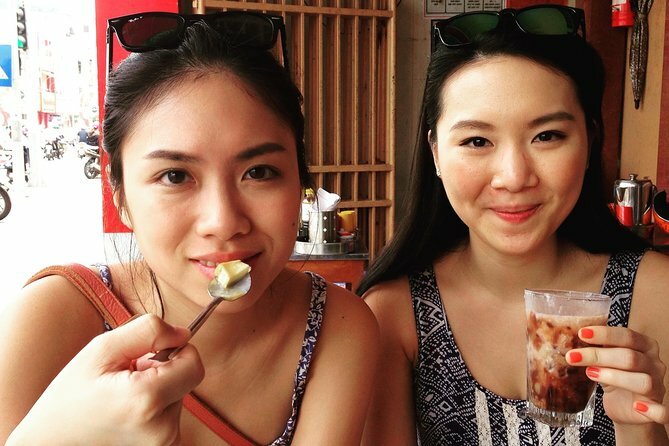 This small group walking food tour will take you through the city to discover flavors that are unique to Da Nang. You'll visit several different food spots ranging from sidewalk eateries to dining in someone's living room to brick-and-mortar food shops. Some of the food you'll be tasting includes rice cracker pizzas, Vietnamese BBQ, seafood and more. 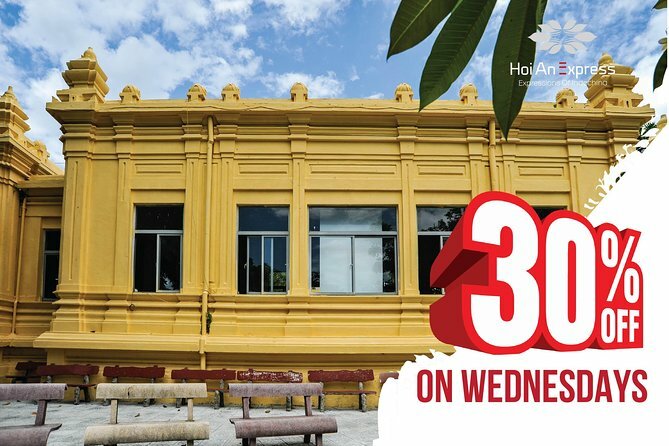 The tour starts at 5pm at 4 Tran Quoc Toan, in the city center and lasts approximate 4 hours. The price of the tour includes all the food and drinks on the tour. Just outside of Hoi An and just south of Da Nang lies an outcropping of marble and limestone, hosting one of the newest climbing spots in Vietnam. 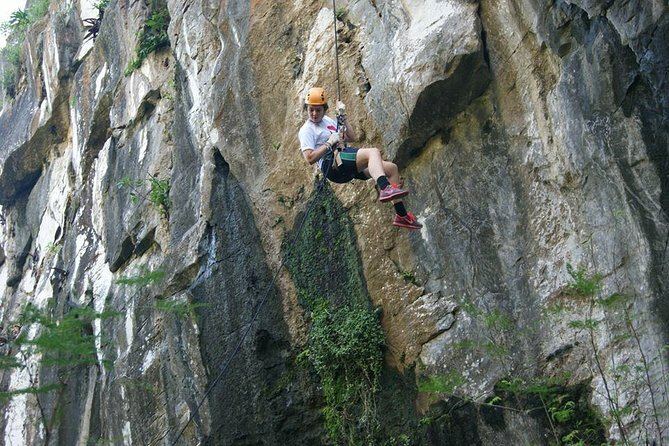 Whether you are an experienced rock hound looking to test his mettle, or a beginner looking to learn the ropes for the first time, this climbing venue has something for you. 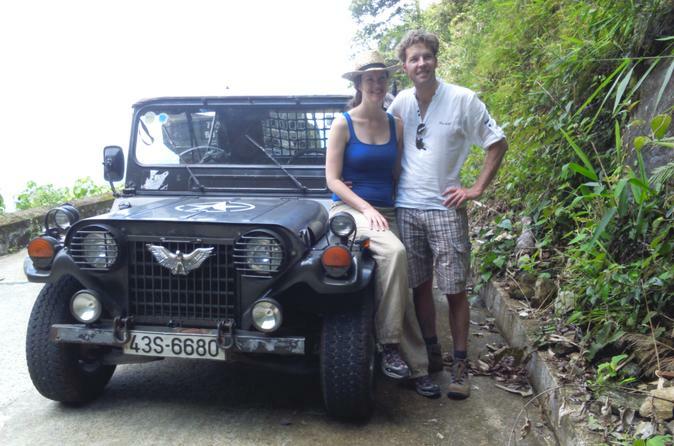 This tour will provide you with fun and scrumptious experience known exclusively to locals. We will take you to 4-5 different stops including dessert, all of which are among the oldest and most famous restaurants in Danang. 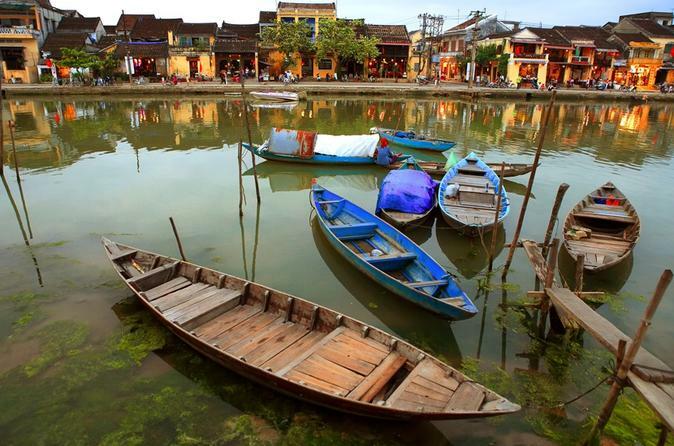 Participate in a guided shore excursion to visit Hoi An, one of the most quaintly beautiful cities in central Vietnam. Cruise along beautiful beachside avenues, walk among historical sites and do some shopping at a local market. Venture outside of the city and take in the views from Marble Mountain high above the regions caves and tunnel systems. Join your local host Diep for a private tour of a bustling market that sells a wide variety of products, especially fresh seafood. 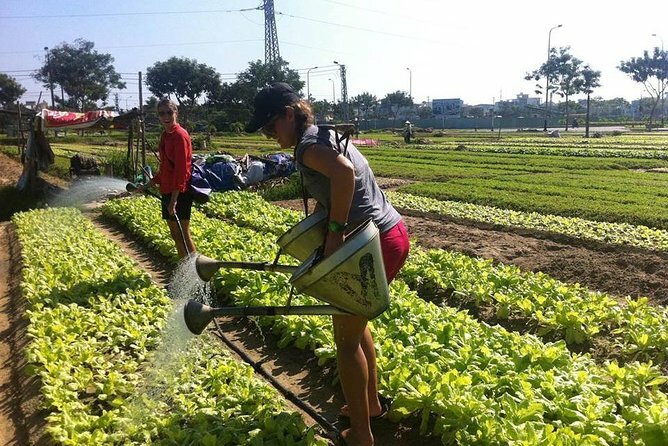 Diep will delight you with her bubbly, energetic personality as she shows you around and introduces you to the different local produce and some of her favorite vendors! You might even pick up a few ingredients to be used for your authentic Vietnamese meal. Back home, join Diep and her mother Loc for a cooking demonstration in their kitchen, and learn to prepare 2-3 authentic Vietnamese dishes from scratch! Because Diep has a small home and kitchen, your preparation of the meal may be limited but Diep will do her best to give you some hands-on experience and teach you to prepare her family recipes. The cooking experience will last about an hour before you gather with the family to enjoy the meal together. Diep and her mother may prepare some of your dishes in advance. Don't miss out on this rich cultural and culinary experience! The perfect place to escape the heat, Ba Hills’ lofty mountainous position means that one can often feel four distinct seasons within a single day. 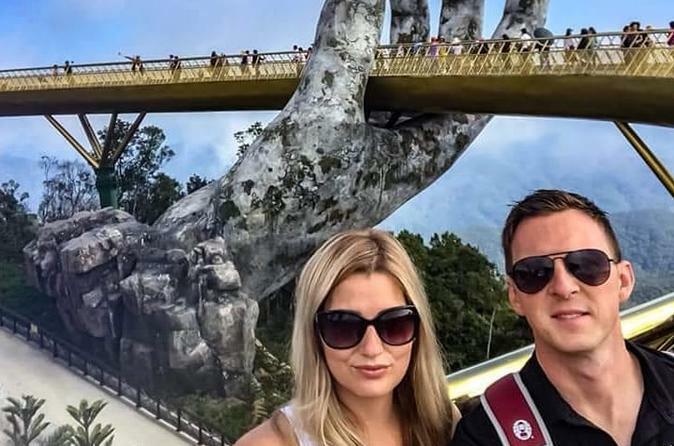 Not many places in the world can make this claim; which is why Ba Na is a must-see location! 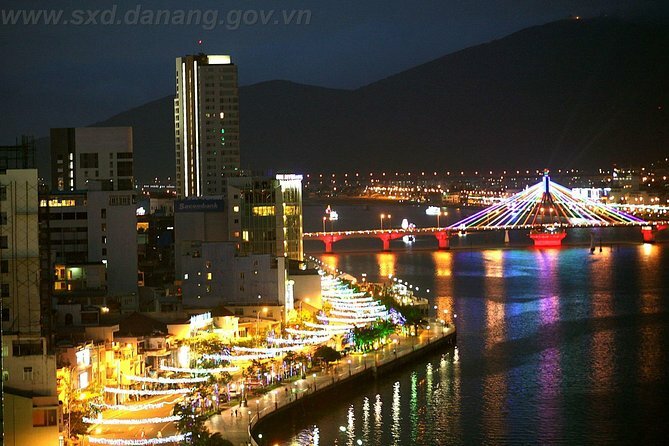 This Da Nang by night motorbike tour focuses on the night life of locals. We will we ride along Bach Dang Street and China Beach road, while gazing at the beautiful bridges spanning the Han River. 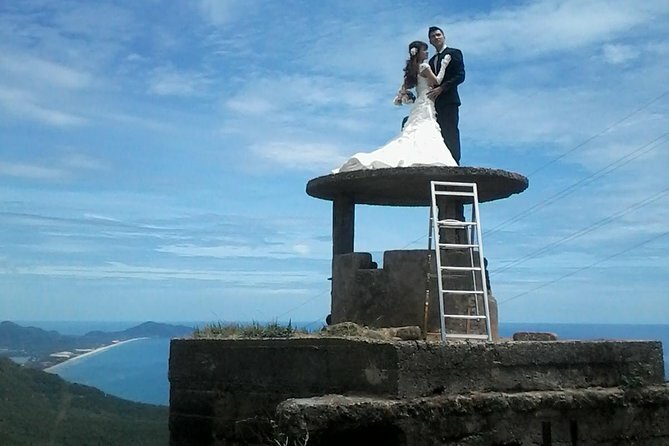 Get to Son Tra Mountain to admire the beauty of Da Nang at night. 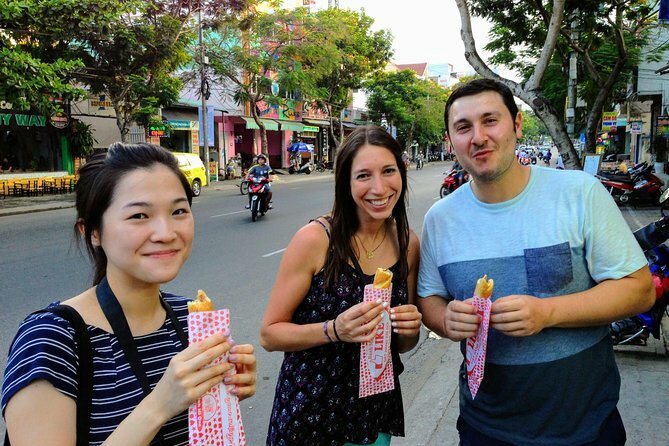 During the tour, you have a chance to try local foods which locals love to eat at night. 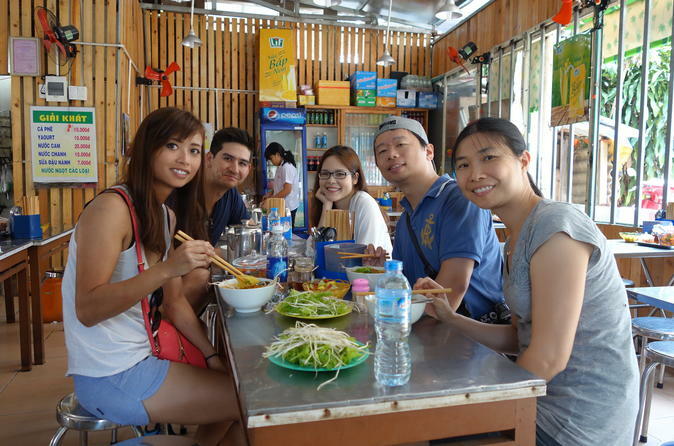 Da Nang Food Tour by Motorbike is more than a food tour” because throughout the tour, your stomachs a little break to discover some unforgettable cultural & attractions that you otherwise would’ve missed. Enough food is served that most participants will not need dinner after the tour. You should have light breakfast or lunch before the tour. 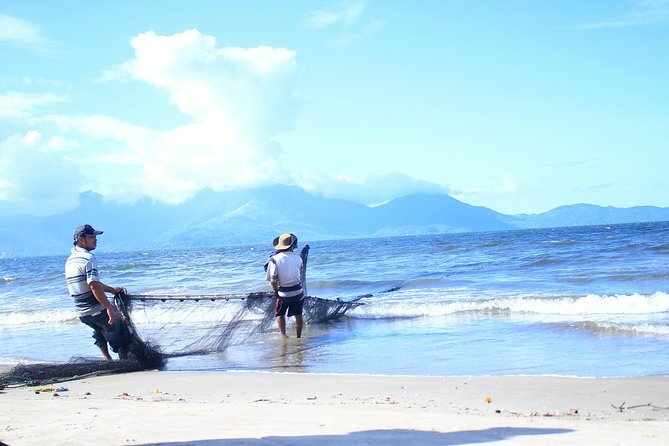 Experience the highlights of Da Nang when it’s at its prime--early morning, before the heat picks up; when fisherman bring in their catch, locals splash about in the sea or exercise on the beach, and the market is at its bustling best. 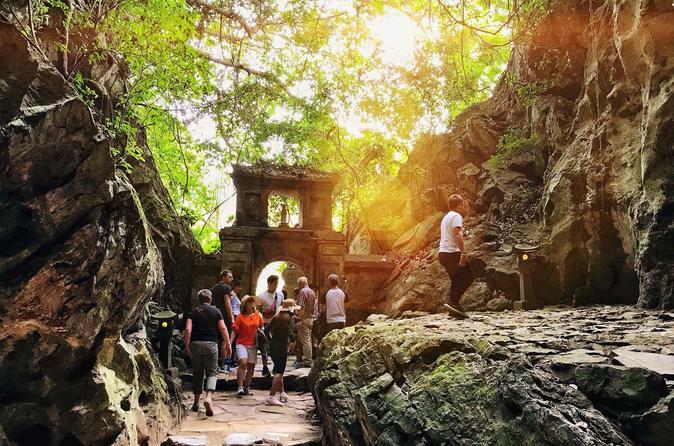 Hundreds of travelers a day pass over Hai Van Pass though few ever make it to Son Tra, an area of infinite beauty and blissfully-free of souvenir vendors. This day trip takes you from the lowlands to the mountains, stopping at several other viewpoints along the way that few travelers will ever get to see. 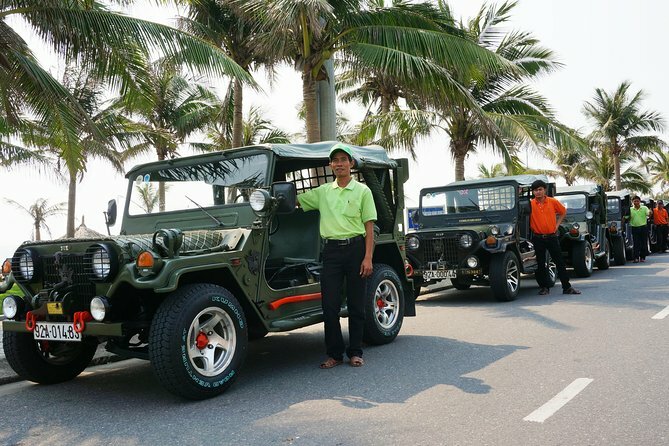 You will be picked up at the lobby of hotel in Da Nang city around 8am. Your small private group of just 3 or some ensures an intimate atmosphere and plenty of attention from our local guide along the road. 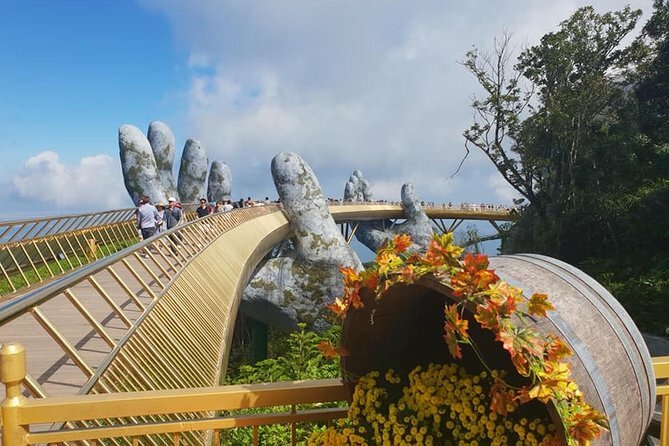 The Golden Bridge can be found about 1,414 meters (4,593 feet) above sea level at the complex of Ba Na Hills in Da Nang, Vietnam. It stretches 150 meters (492 feet), and curves in an elegant and unique design with a golden pathway lined with purple Lobelia Chrysanthemums. Lunch time is to try local dishes of Da Nang city and Vietnam. Da Nang Home Cooking Class is a perfect activity for weekend escape in Da Nang. You don’t need to have any cooking knowledge. Da Nang cooking class is a fun thing to do if you travel with kids. With Da Nang Home Cooking Class, you can get much more than a cooking class. 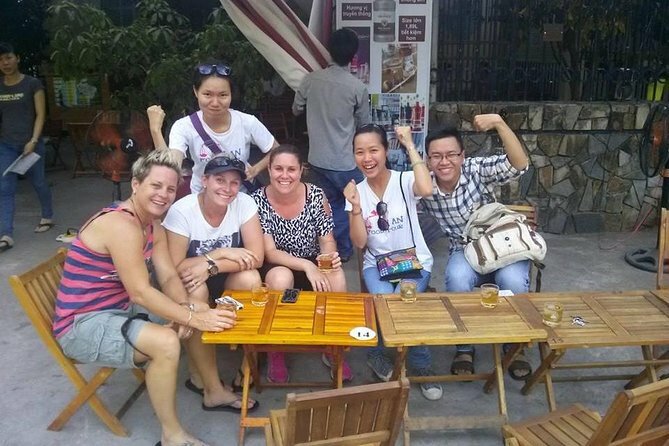 While you will tour a local market, organic vegetable garden, a great Vietnamese coffee, a fun cooking session, you can also get: the warmth, hospitality and the atmosphere of a Vietnamese meal! We will make you feel like home away from home. 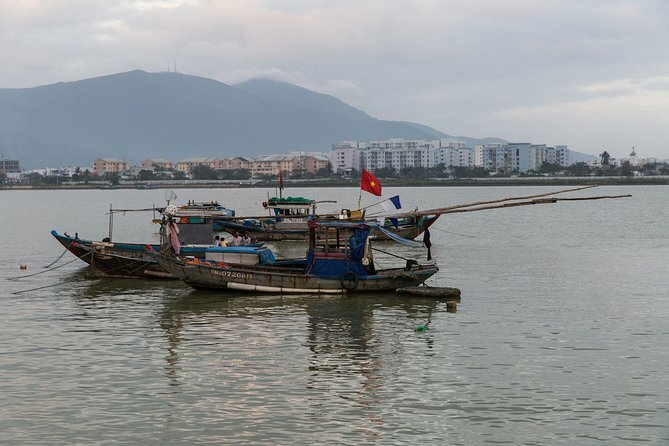 Head out to Da Nang bay and Red beach and get ready for a trip that includes passing through the clouds and taking on several hairpin curves to reach the crest of the Hai Van Pass, where you will explore a bit before heading out to Lang Co Beach. This half-day tour also includes lunch or dinner, depending on tour departure time.